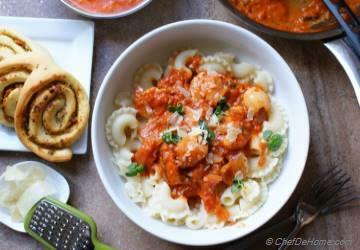 Today, I'm bringing to you an autumn inspired comforting meal plan. Comforting does not mean it has all weeknight meals rich and complex. In-fact for Monday I'm keeping the healthy meatless Monday tradition with a lite and quick Spaghetti Squash Lo Mein. Inspired from breezy fall day.. rest of dinner ideas include soups, pumpkin bread and also a delicious cheesecake Swirl Pumpkin Cake which I shared on blog recently. 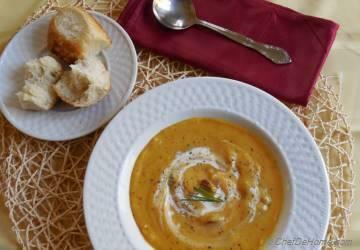 If you wish to explore soup ideas for fall, here is a complete list on my blog - Soups. 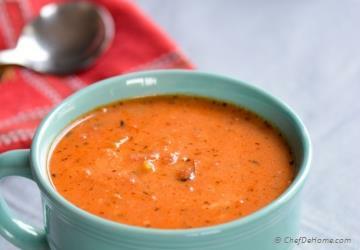 I believe foundation of great soup is in a rich and flavorful broth. If you looking to make and freeze some over weekend? I have a very good one here. I have been receiving some requests for sharing Halloween inspired meals. So let me know if you want next few meal plans featuring Halloween recipes?! I wish you a great weekend. Make some good food, relax and enjoy the weekend! 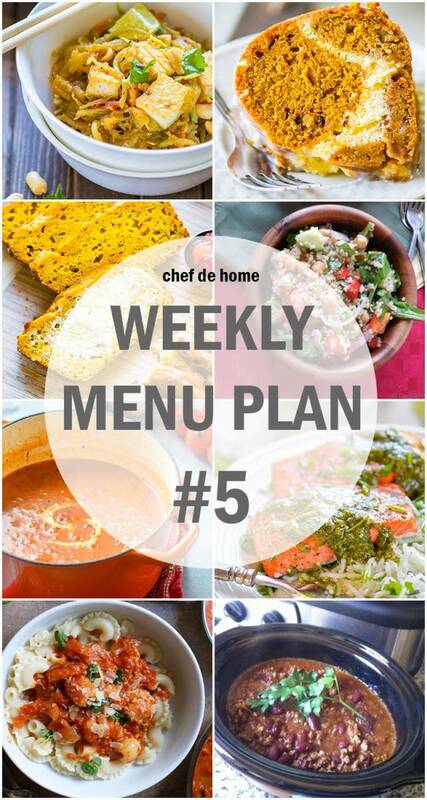 Monday - Let's start Monday with a quick and healthy meatless meal. 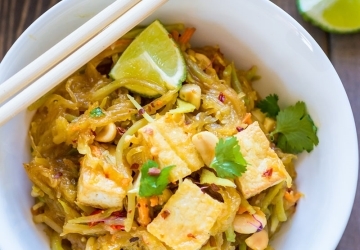 What's better than homemade Spaghetti Squash Lo Mein with crispy tofu!? 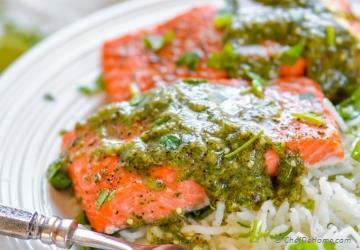 Tuesday - A perfectly baked salmon fillet dinner with zippy roasted salsa verde and lite cilantro rice! You can also fill it in tacos instead of serving rice! Thursday - Pair this with easy salad shared next! Friday - Declaring Friday a cookbook day this week! Don't you think?! 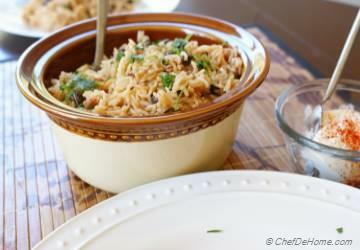 If you really insist, try these one-pot garbanzo beans and rice! Saturday - Indian Tikka Masala but with pasta. Sounds good for Saturday?! 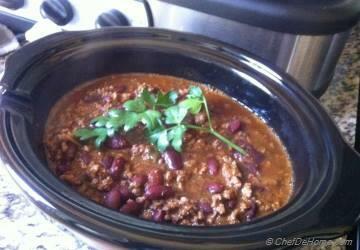 Sunday - Slow cooker lamb chili is best way to finish weekend, hearty yet super easy! 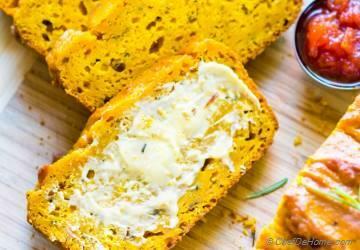 Bread - This menu is not complete without some fall baking! 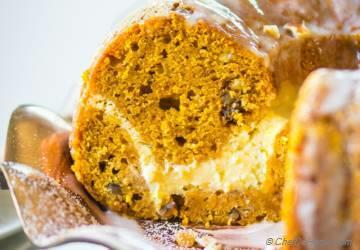 How about this Pumpkin Quick Bread! Dessert - I will be insane if I offer anything but a pumpkin for fall dessert! Okay, I also included a layer of cheesecake in it! 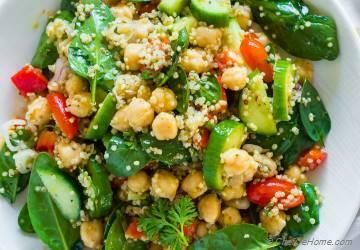 Salad - This salad is so self-sufficient.. I don't mind it for quick dinner alone. But, you can also pair it with soup listed above. PS: Leftovers are great for next day lunch.